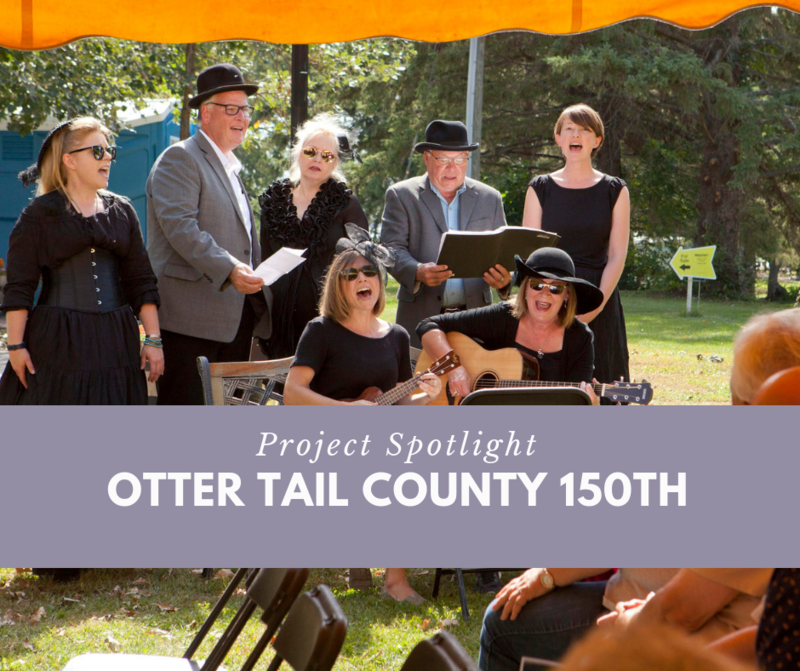 With a 150th anniversary approaching, leaders in Otter Tail County knew they had a once-in-a lifetime opportunity to celebrate the region’s history and culture. People were excited and passionate about getting involved in the milestone event, but that enthusiasm came with a price tag. “The more ideas there were, the more opportunities there were for things to get chaotic,” says Nick Leonard, communications and external relations director for the county. 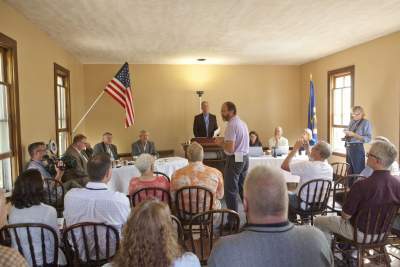 Key stakeholders including the Otter Tail County Historical Society and the Otter Tail Lakes County Association established a planning committee for the sesquicentennial, but the group needed someone to serve as a single point person for communication and project management. Reach Partners stepped in, helping with event strategy and support. The committee established a budget and goals for the celebration. Anita from Reach Partners helped to keep these things on track. 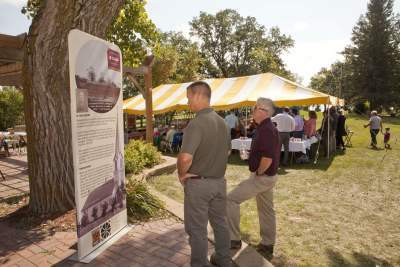 While the committee wanted to promote the region, it decided the 150th was an opportunity to celebrate all who live, work and play in the county. The committee met monthly to identify and plan events. 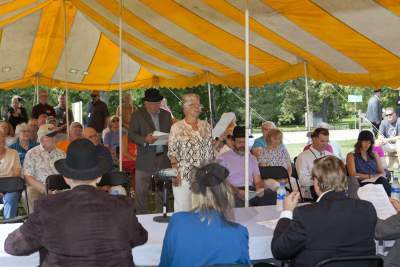 Major events for the celebration included a musical production written for the anniversary, an ice-themed winter gathering, and a historical reenactment of the first county commission meeting. 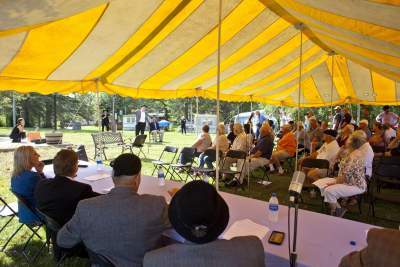 Other events included community walking tours and historical displays. Events were held over the span of a year and throughout the geographically expansive county, but planning started months earlier. To help the group stay on task, Anita created agendas for each meetings. She identified logistics that needed to be addressed for the major events. 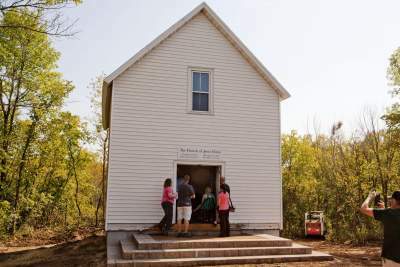 She also managed a micro-grant program that offered support for community projects that promoted Otter Tail County and its history. Planning and coordinating numerous events can be stressful and time intensive, especially for staff who don’t do this regularly. Asking Reach Partners, which has the expertise and experience, to take on this role was an easy choice, Leonard says. “Planning a big event is one of the most visible things you do as an organization. It leaves a lasting impression on people. You want to make sure it’s done well,” Leonard says. PHOTO CREDITS: Dan Broten. 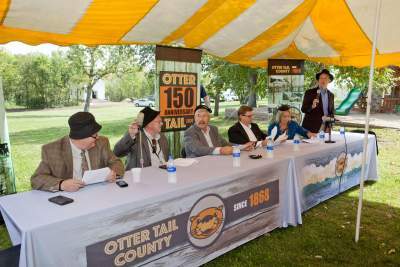 All photos were taken at Otter Tail County's 150th anniversary kick-off event. It’s relatively easy to think about ways that rituals unite, connect and motivate us. Imagine the ways your family celebrates and recognizes holidays. Picture how a sports team carries out a certain behavior or chant before competition starts. When done right, rituals are mindful actions that help us build community or identity. They create strong and long-lasting connections. As such, rituals have a place in supporting a healthy work environment among both teams and at the organizational level. Fun rituals that solve problems and do no harm can help to build effective teams and make the meetings they hold more productive. Every team has rituals, even if you don’t recognize them as such. We have rituals around hiring, recognition, production, innovation, quality, promotions, family, customer service, community service, learning, etc. 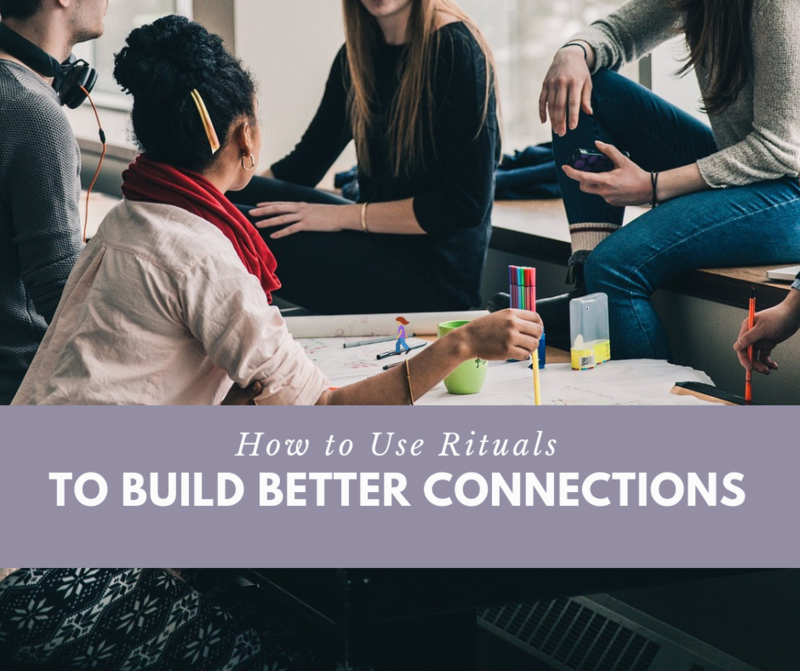 Being intentional about those rituals can reinforce a business need or a team’s need for connection. Effective rituals fit your leadership style and the personality of your team – they feel natural. What works for one organization or team won’t necessarily build trust among another. Rituals do not need to be complex or serious. They can be short and silly. The important thing to remember is that rituals should do no harm. If an activity introduces shame or humiliation, it will promote disconnection instead of unity. Recite company values – How many of us know our company values or mission? Enforce the mantra by turning key phrases into a pre-meeting chant. Develop a team high-five or cheer – End every meeting on a high note by gathering everyone together for a group high-five or a motivating cheer. Name meeting roles – For every meeting, you need people to serve specific roles. Why not have some fun by naming them through the lens of your company values, brand archetypes or even your mascot. For example, your meetings may always have a Monkey Minder who collects actionable tasks and assignments. Or maybe you have a Focus Ferret who facilitates the meeting or a Note Goat who distributes the summary after the meeting is over. When done right, rituals can create an environment that encourages creativity, vulnerability and risk-taking. Make them count. 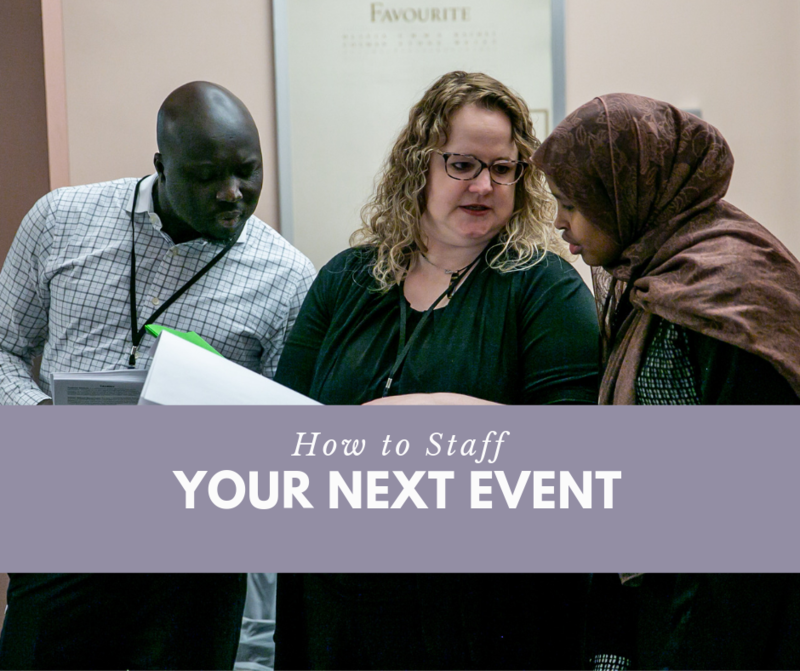 If you’ve ever planned a large event, you know how hard it is to determine how many volunteers or staff you’ll need to make the event run smoothly. So, you turn to your good friend Google and find out that the general recommendation is one (1) staff member per 50 to 100 attendees. Great. But, that’s a broad generalization, and it’s critical that you get the number right. After all, if you understaff an event, your attendees will suffer. And if you over-staff, it will cost you money or sour a valuable relationship. You don’t want your volunteers feeling unappreciated because they’re standing around doing nothing. To figure out the appropriate number of staff – either paid or volunteer -- you need to start by being clear on what needs to be covered and for how long. For example, a registration desk is usually a busy place at the start of a conference or event. You may need several people to help when everyone arrives during the same half hour. But once the rush is over, you may only need one individual to handle late-comers or to serve as an information desk where attendees can get their questions answered. The other volunteers or staff can be assigned a new task. What time: Arrive at 7:00 a.m. and be ready to start at 7:15 a.m. Finish at 9:30 a.m.
Role or duties: Welcome attendees, capture attendee data for onsite registration, assist attendees at iPad kiosks, provide event information to attendees, distribute agendas and notebooks, encourage attendees to register for post-event training. Set-up and Tear Down – unloads the stuff (and there is always stuff) like signage, programs, name tags. Sets up easels for signage, places candy on the tables, distributes exhibitor packets, and organizes swag bags. At the end of the day when everyone is tired, assign someone to help load the stuff (likely less than during set-up but still stuff) and bring it back to the office. Now, determine who can fill those roles. If you’re hosting a company-sponsored event, you may rely on employees to serve in familiar roles. For example, you may ask your communications director to serve as a liaison to media and to oversee social media for the day. You might ask an employee to do something different than what they normally do. For example, your payroll specialist may be asked to host one of your speakers. Don’t get too caught up on titles as long as it’s clear what needs to be done. And don’t be afraid to ask someone to serve in one area while it’s busy, and then do something else once the rush is over. Assign one-point person for every event area. An area can be a geographical space or a category, such as event program, refreshments, vendors. That point person might have an assistant or even an assistant to the assistant (as one client, who was having a bit of fun, once recommended). This point person is important so that volunteers and other staff know whom to contact if there are issues. In addition, map out a clear chain of command among everyone onsite. Collect names and cell phone numbers so you know how to reach people. One helpful hint: walkie-talkies can be valuable communications tools for staff and/or point people when an event is large (either by space or number of attendees). Cell phones are great, but may not always work well in situations where people may have their ringers off or where coverage is spotty. By defining roles and identifying the right people, you’re well on your way to making sure everything runs as smoothly as possible. If it seems like you’re spending a good chunk of your work week in meetings, you’re not alone. Meetings have increased in both length and frequency over the past 50 years, according to an article published in the Harvard Business Review. One example: on average, executives spend nearly 23 hours a week in meetings, up from less than 10 hours in the 1960s. And yet, as we spend more of our work time in meetings, we don’t necessarily feel more connected or better prepared to do our work. The same Harvard Business Review article found that 54 percent of people surveyed by the authors said that meetings resulted in losses in productivity, collaboration and well-being. When meetings are too frequent and badly run, it may seem like we’re in a never-ending, awkward episode of The Office. We’ve all sat through gatherings where Co-worker Eddy kept going on irrelevant tangents and shared bad jokes. We left the conference room wishing we had the last 60 minutes of our life back. If we’re honest, sometimes the fault is our own. We can all think of times when we weren’t prepared or forgot to bring needed materials that were critical to the discussion at hand. Or maybe we showed up late, again and again. Or we invited the wrong person to attend a meeting. Repeatedly. The deal is this, we’re going to waste time in meetings. It’s life. There are kids, parents, snow days, health concerns, and technology fails that are always going to affect the cost of meetings. But we can do something to curb the other stuff: the poor behavior, the lack of planning, no semblance of purpose, unprepared people. We can help the teams that are so disengaged, they sabotage themselves. We can build trust. We can help make a team feel like a team. We can work really hard. We can learn and grow. We can connect. We can celebrate. After all, meetings are at the intersection of work and people. Meetings are where individuals come together and form a team or group that gets things done. It makes sense that if we want to do better work together, we need better ways to meet. On March 13, I’ll be presenting “The Culture of Meeting,” as part of our local chamber’s Business Training series. I’ll be sharing observations and techniques for how to conduct better meetings and, in the process, improve your work culture and productivity. But, if you can’t, stay tuned. I’ll be sharing some of what I’ve discovered and experienced right here on the Reach Partners blog and newsletter. 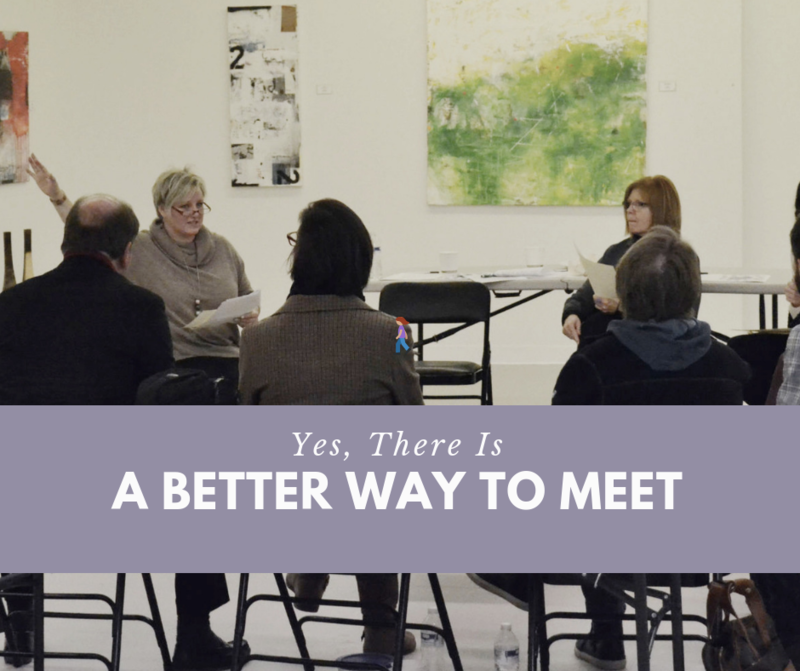 #BetterMeetings are possible. Trust me. Sometimes it’s hard to focus in a meeting. We’re distracted, tired, hangry, concerned about other things. It may be tempting to power through, but there are simple practices that can help us bring energy into the meeting and enhance our productivity. When we adapt to people’s needs – whether physical, social or psychological – we can get more accomplished during a meeting. About a decade ago, researchers observed that children actually fidget to focus and learn. The more complicated the mental task, the more they needed to move. Like those kiddos, adults appreciate fidgets too. Have a few quiet toys to occupy an active sub-conscious (and maybe prevent Dave from clicking his pen). Bring bit of nature into deep meetings by offering pine cones, shells, sticks, or switches of grass to play with or sacred items like a rosary, prayer beads, or a Hindu mala. There is evidence that adults playing with these items eases anxiety and expands their thoughts on a problem. It even works for right-brained engineers! Kids have a lot of energy, and let’s face it: adults aren’t any different. Movement helps focus ideas. We are made to move and our work lives spent sitting on a chair and at a computer station don’t help us do our best thinking. Allow and encourage your meeting goers to stand up during a long meeting, gathering. Offer a mid-agenda stretch to wake up fatigued attendees. Next time you have a meeting with three or fewer people and a simple agenda, try a walking meeting. Take a lap around the building or, better yet, head outside. 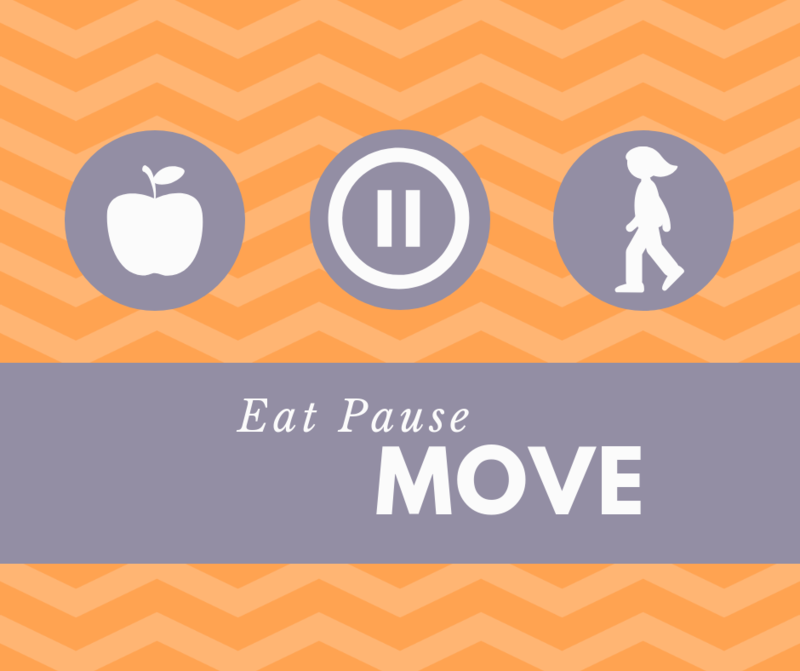 Dedicate a lap to a topic, pause to write the next step or decision, then move along to the next agenda item. Or gather a group to stand around a white board or an easel pad. Standing meetings typically have a short, focused agenda (think 15 minutes), but they are extremely effective. At larger events like conferences, people are usually expected to sit for long periods of time. Place high-top tables in the back of the room to encourage movement and standing. (These have the added benefit of helping participants connect with others.) Create a schedule that allows people to move between sessions. Consider the distance between meeting room locations so that people are encouraged to move and stand. People always bring mental baggage when they join a meeting. Unless they prepared or are leading the meeting, they are probably thinking everything except what’s on the agenda: who do they need to talk to; what groceries are needed for this weekend’s gathering; who fed the cat? Bring the group together by pausing at the beginning of every meeting. A brief centering meditation can help everyone get focused on the work that needs to be done together. When people show up to work as their authentic selves, they feel safe to share ideas and take risks in a group. When people feel safe, they don’t fear humiliation (because of age, gender, education, class, etc.). They’re more willing to discuss tough issues and ask for help. They feel valued and don’t worry about repercussions for misspeaking or a failure. If you want to have a successful, focused meeting, your team members need to feel connected to each other. In meetings were team members feel connected to each other demonstrate a higher level of dependability, innovation, executive function and overall impact. As a leader, examine how your business culture is at work: do you feel comfortable showing up as your true self? You might feel free to be you, but do others? 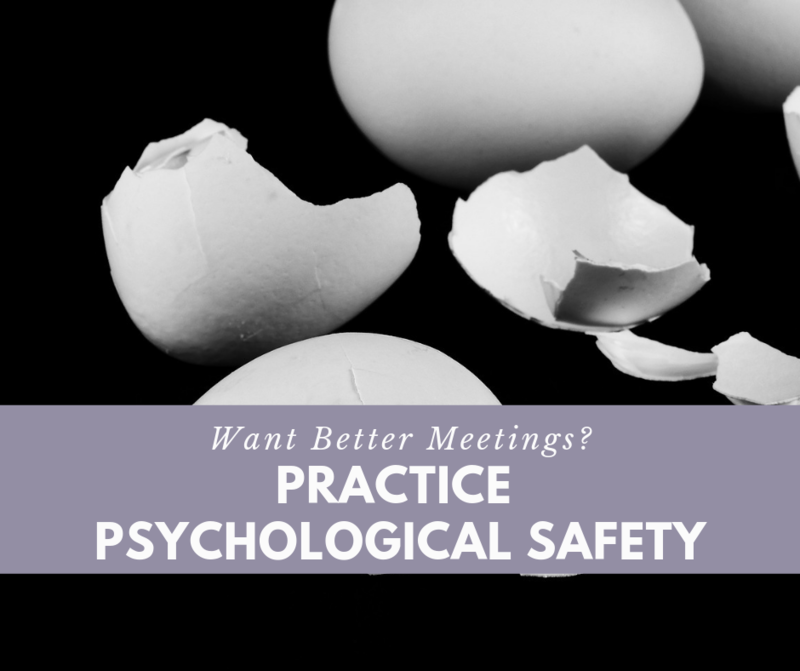 Have your team take a quiz, and learn how to foster psychological safety. It sounds simple, but snacks help to elevate the mood while building a sense of camaraderie. Don’t worry. Not every snack needs to be a high-sugar, high-fat item. Set out fresh or dried fruit, or nuts. Make sure there’s a good selection of teas and flavored waters. And, of course, set out donuts, cookies, and cake when the occasion calls for it. Breaking bread has long been a part of holy occasions. Food is often a centerpiece of our holidays and celebrations. (Can you imagine Thanksgiving without turkey or mashed potatoes?) By incorporating snacks or a meal (lunch meetings, anyone?) into your gathering, you give people an opportunity to build relationships. Even at larger meetings or conferences, a meal or snack gives people time to converse and connect. Next time you schedule a meeting, give one of these practices a try. Tell us how it went! P.S. Learn more ways to bring order and productivity to your next meeting by attending “The Culture of Meeting” on March 13, 2019. The presentation by Rachel is part of the Chamber’s business training series. Buy your tickets today! Last year we started a new tradition at Reach Partners. Every week we set aside time to read during work hours. At first, this felt a bit indulgent. We enjoy reading but – like many others – we typically crack open our books outside traditional work hours so that we can “do” things at work. And yet, reading is one important way that we learn and grow professionally. We decided our work calendar should reflect that. 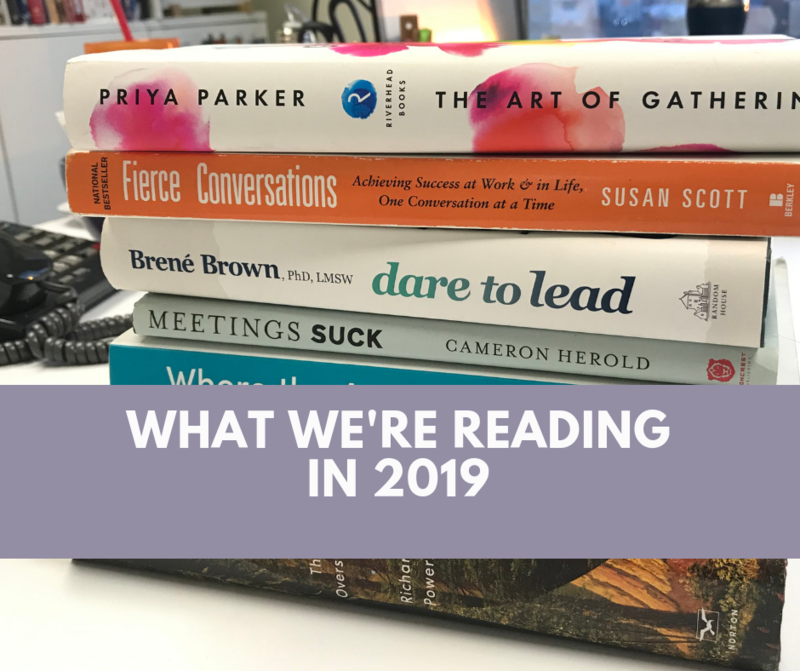 With that in mind, we’d like to share a few of the titles that we’ve read recently – and a few that we’ll be tackling soon. Drop us a line if you have any additional suggestions. Happy reading! Rachel has been digging into resources about meetings in preparation for an upcoming presentation. This book is golden. It’s deep, well-researched, and a joy to read. Keith breaks down every business meeting into a taxonomy that provides specific tips – not generic best practices – on formats, timing, and framing. You still may not love every (or any) meeting, but you will find value in the engagement and team performance in the meetings you do have. Anita’s teenage niece recommended this title, and when someone recommends you read poetry – you do it! Unnahar is a young woman from Pakistan. Her imagery and art journaling reflect both her age and the deep insights she has into human nature. We find that our minds expand when we explore new genres. Reading something unexpected or different challenges us to see the world – and our work – in a new light. If you’ve ever rolled your eye at the idea of attending a meeting, don’t read this book. The good part is Herold includes a paragraph or two about attitude: go into every meeting prepared like it’s a job interview. We were so inspired by this book that we traveled to Minneapolis last year to hear Parker speak in person. “The Art of Gathering” shares a human-centered approach to planning gatherings. Learn how to create meaningful, memorable experiences at work, or with family and friends. (One of her great observations: “Hosting is not democratic, just like design isn’t. Structure helps good parties, like restrictions help good design.”) Parker stresses that the most powerful gatherings begin with purpose and that every event is an opportunity to connect with others. Your Event Sold Out! Now What? Hollis has been a hot ticket for our local chamber’s Women Connect anniversary. So big, that the event quickly sold out. Anita, and many others, were placed on a waiting list. To accommodate growing demand for tickets, the Chamber of Fargo-Moorhead-West Fargo quickly decided to move the event to a larger venue. More people could hear the author AND celebrate Women Connect. Woo-hoo! 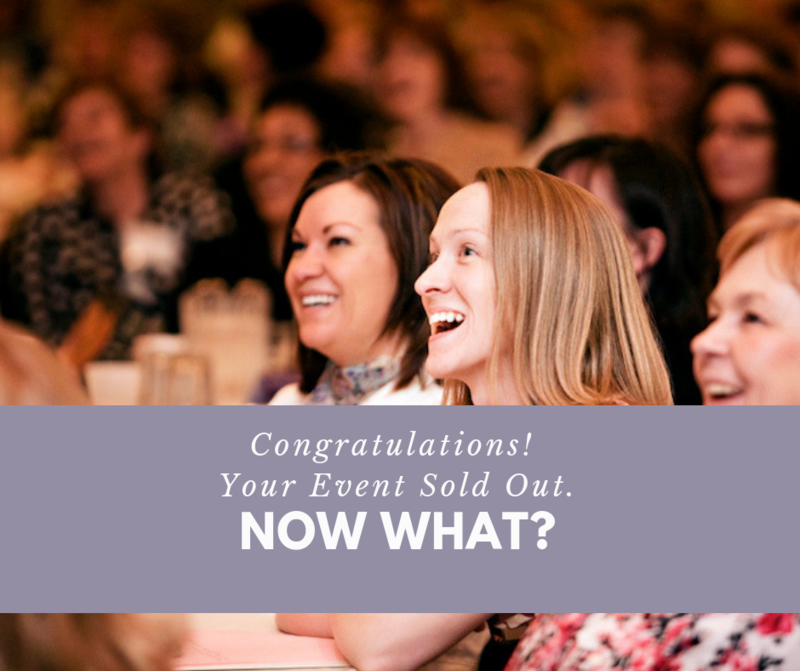 A sold-out event is every event planner’s dream, right? If all the tickets are gone, you’ve planned an event that people want to attend. If all the tickets are gone, you’ve likely covered your costs. But sell-outs come with their own set of challenges. When you sell out a day or two before an event you have one option: congratulate yourself on good budgeting as you keep plugging away at the last minute details you need to complete to pull it off. But when sell-outs happen with time to spare, you – like the Chamber – have some decisions to make. To our extreme pleasure, we have sold out an event, twice. The first time, it happened three weeks before the event. The second time, 11 days before. Both times we were faced with two options: 1. Open a bottle of champagne and celebrate the fact that we had a strong plan of action and our event would go on as planned; or 2. Pour a cup of coffee, grab a pencil, and consider how to accommodate more people. Adjustments can mean a variety of considerations from the extreme – secure a new venue or add another day – to the less drastic change of furniture or room layout. Each carries additional questions that relate to settings, seating, menu, budget, staffing, and materials. Don’t sell out strategy. Before changing an event, circle back to your strategy. Why did you want to host the event in the first place? To make money? Connect people? Educate? Go through your strategy and think through how all, not just the additional, people will be served. Do the math. All of it. How many additional tickets do you need to sell to make financial sense of the added work it takes to reconfigure the setting for new seating and additional menu items, the material and staff time? Will everyone get what they paid for? Consider the time. Do you have enough time and energy to pull it off? Do you have enough staff to manage the day with additional people? Can you order and ship more give-aways for the swag bag? Can you print more materials for the packet? Do you have time to construct additional custom birch-bark name badges? Carry the torch. Don’t forget about messages! Can you quickly create a new plan to clearly communicate the new order? Do you need to create additional signs or activities to maximize your space or guide people to the new meeting place? Congratulations, you’ve sold out! Take a moment to enjoy the success and then make your next move strategic. ​EDITOR'S NOTE: This blog is adapted from one that originally ran in March 2015. We believe we can do better together; it’s one of our values. But we also know that teams can struggle to get work done together. Teamwork sounds good in theory. The more, the merrier, right? And yet, when it comes to accomplishing tasks, it often seems easier to do it alone. The problem is that teams often neglect to clarify and define roles, ensuring that their work is an uphill (or circular!) battle. Without clear roles and communication, a project slows. A lack of clarity creates redundancies and conflict; it encourages passive-aggressive behavior and wastes time. To set the stage for a successful project, you first need to be clear on roles. To do this, answer two basic questions: what and who. A team needs to understand what skills are needed and who brings them: Who needs to provide input or make recommendations? Who is authorized to make decisions? Who is responsible for carrying those decisions out? Understanding the answers to these questions will eliminate unnecessary frustration, friction, and unproductive competition between members of a team. If your role or somebody else’s role isn’t clear to you, it’s not clear to others. A role is the part or position a team member plays in a particular operation or process. Some roles are formal; many are not. Formal roles include those whose name or title describes “what” they’re responsible for. For example, a project manager or a writer may fall into this category. 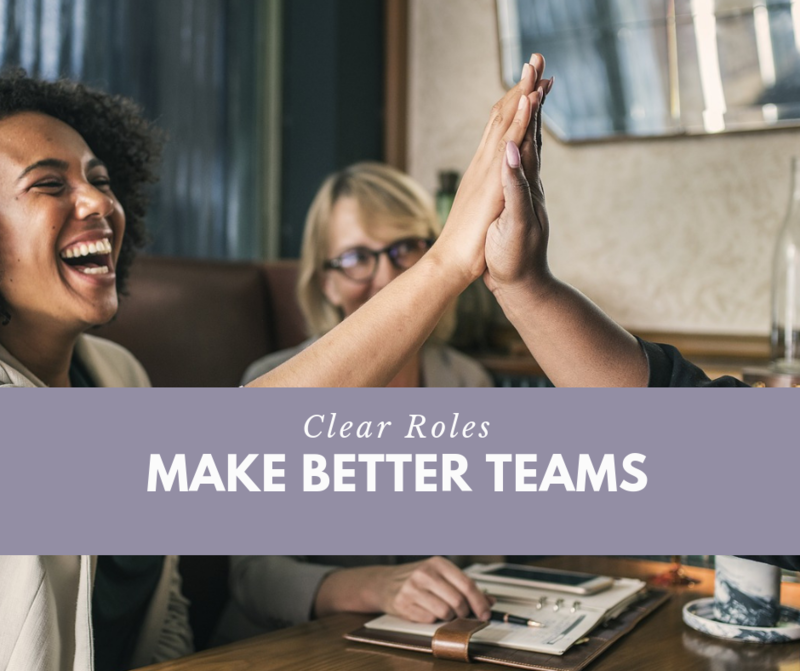 Teams often have people who do not have formal titles but have skills, experience, or knowledge that contribute to the outcome of our projects. Naming these roles can become complex and yet, it’s necessary or people will fill default roles. Unless they’re told otherwise, people will assume a role because of interests, skills, personality type, motivations, or attitude. An extrovert may become the team’s catalyst to propel a team with energy and positivity, while someone with high analytical skill will provide insights and check possibilities against realities. Our top tool for defining roles is a RACI chart. While organizational charts show hierarchies and decision-makers, a RACI chart shows roles so much better. It’s a valuable tool when working with clients, vendors, in coalitions, or when volunteering on a board. A RACI chart is a matrix that assigns roles and responsibilities in categories of tasks. This sets expectations for people working together. To make a RACI chart, begin by creating a row of team members across the top. List all needed tasks, milestones, or decisions on the left side. Now indicate who is responsible, accountable, consulted, and informed in the intersecting cells. Responsible – The team member(s) who completes the task. Accountable – The team member(s) who needs to sign off on the work someone completes. Consult- The team member(s) who has valuable expertise in the area and who needs to share their knowledge and insight. Informed – The team member(s) who needs to be kept up-to-date on the status or progress. Many examples of this tool exist online. One of my favorites is this Lord of the Rings example (the article on RACI charts is great, too). If you are striving to empower others to get their work done, it may be a very helpful tool to use at the beginning of a project at work or as a volunteer. We find the best use is to create a RACI chart with the team. 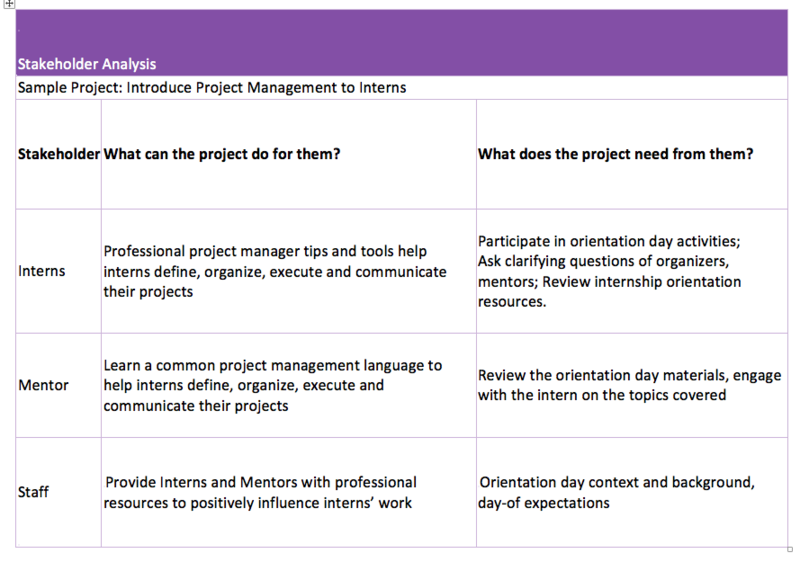 This allows the group to grow a deeper understanding of the project tasks. The more clearly understand who needs to complete a task, whose expertise is needed, and who has the final say on decisions. Like any tool, use it, manipulate, or modify in the way that works for your team. We’re going to let you in on a project management secret. The hardest part of any project isn’t achieving the actual outcomes – it’s managing the expectations and needs of the people who are involved. After all, if you’ve ever worked on a project, you know that one person can easily promote a plan – or derail it. That’s why identifying your stakeholders and determining how best to keep them informed is critical to the success of any project. Stakeholder analysis is a useful tool that helps you understand stakeholders’ expectations throughout the project lifecycle. Once you understand expectations, you can communicate in a way that creates enthusiasm, trust, and excitement. These are the emotional responses you need to build the good will that will help you usher a project to the finish line. First, take a moment to write down everyone who is a potential stakeholder. What’s in this project for the stakeholder? How will the project (in progress or completed) affect them? What is the stakeholder’s interest and ability to influence others? 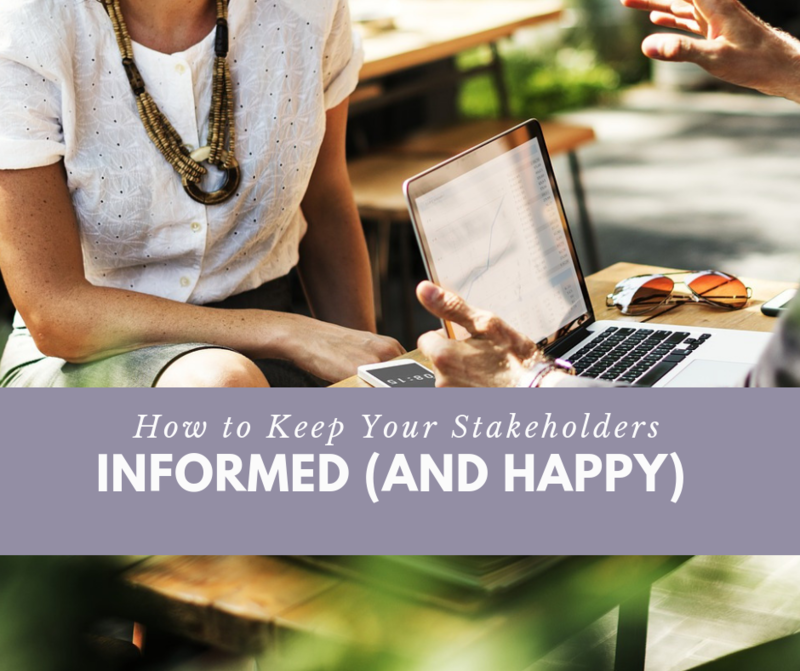 Is the stakeholder supportive? Neutral? Against the project? How might their support affect the type or frequency of communication? What does the project need from each stakeholder? Once you’ve completed the analysis, you’ll be able to build a plan for communication or stakeholder engagement. The plan can include key messages for each stakeholder or stakeholder group and additional details, such as the way those messages will be delivered (email, meeting, report, or phone call) and how often (weekly, daily, or project start and end). Experience has taught us that projects are about communication, communication and communication. As long as you can inform your stakeholders in a timely, appropriate manner, they’ll remain happy and your project is likely to succeed.